One of the most difficult parts of running a Head Start program is dealing with the constant fluctuations in federal funding for this very important early childhood learning service. Head Start budget cuts have plagued the organization in recent years, leaving administrators to scramble and find new ways to save money on basic costs for supplies that are required to run the program. Wholesale janitorial supplies and office supplies from a discount supply source can help, but the biggest change that needs to occur is a change in the way that we approach our purchasing overall. Supply Source is a free program for non-profit human service organizations like Head Start. A discount supply source program that provides not just access to wholesale cleaning supplies, food service supplies and other purchasing opportunities, but also provides a free cost analysis of current spending patterns. This audit can help administrators to overcome Head Start budget cuts, with many programs realizing between 10-35 percent in annual savings over the previous year’s purchasing. Our team of customer service agents, budget analysis experts and even registered dieticians can find new ways to help Head Start programs cut spending while continuing to provide children and their families with all of the services that they desperately need. Wholesale janitorial supplies is just the start, as our Supply Source and FoodSource Plus programs can work together with administrators to find new ways to stretch the annual budget and not just keep the doors open, but increase the opportunities available to families in-need within the community as well. On a national level, the National Head Start Association has also taken matters into its own hand with the Dollar Per Child fundraiser program. The NHSA is the only nationwide organization in the country that advocates solely for Early Head Start and Head Start programs in America. This helps to ensure a unified voice in Congress and the White House when federal budget issues often translate into Head Start budget cuts. The Dollar Per Child program is the only source of financial support for these advocacy efforts. This year’s campaign has set a goal to raise one dollar for each of the one million children that are currently enrolled in the Early Head Start and Head Start programs across the country. At the end of the year, the NHSA Parent Conference will recognize the programs and states that met or exceeded their fundraising goals for the year. Head Start administrators need to work within the community to encourage donations and put on fundraising events. To find out more about this important fundraising program, visit the NHSA website direct. 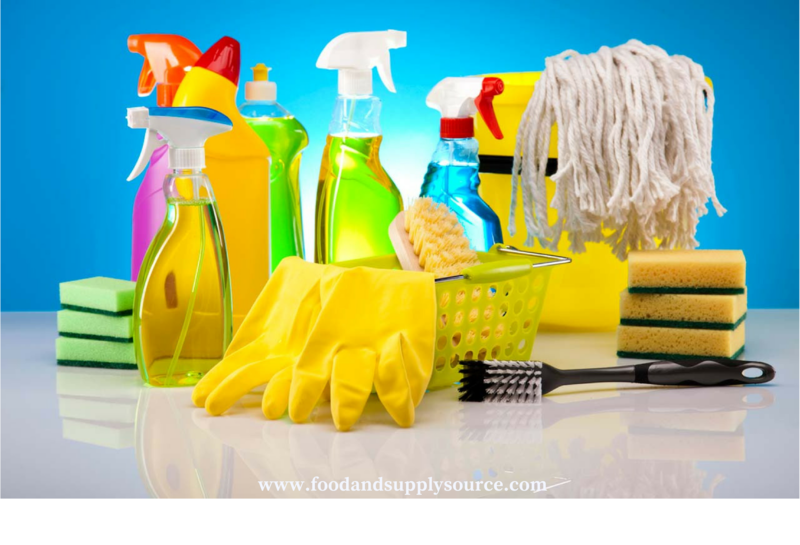 The best part about buying wholesale cleaning supplies and wholesales janitorial supplies from a discount supply store program for Head Start programs is that these supplies can be bought one year in advance. The amount of savings that can come from making one single bulk purchase with free or reduced shipping and the best-possible rates available for the things you purchase post will far outweigh any smaller cost savings that can be achieved through monthly or quarterly purchasing. Supply Source helps non-profit human service organizations overcome issues like Head Start budget cuts with the ability to harness the purchasing power of over 2,000 organizations nationwide, gaining access to discounts on wholesale janitorial supplies, office supplies, cleaning supplies, food service supplies and other important things required to run these essential programs and services. When you purchase through our discount supply source program, you save money that can be reinvested back into the mission of your program, keeping the doors to Head Start open and making as many spaces and opportunities available to children and families within your local community that are in-need. To find out more about Supply Source, how it works and what it takes to enroll in this beneficial program, visit our website or call us direct at 1-866-248-4520. Our program has been helping early childhood education programs and other human service organizations save money on wholesale cleaning supplies and other services for many years and it is our goal to continue this work for many more. Give us a call today and see how Supply Source can help your school overcome Head Start budget cuts and make better use of the funding that is available.